Though there are many similarities when it comes to raising boys and girls, not everything is the same. This is definitely true when it comes to bedwetting, boys are more likely to wet the bed than girls. This article goes through the key differences when approaching bedwetting with a boy. Though there are many similarities when it comes to raising boys and girls, not everything is the same. In the bathroom, of course, there's the obvious difference that boys stand to pee and girls sit. And boys often take longer to potty train than girls—it’s just the way things are! The same holds true for bedwetting, where boys are more likely to wet the bed than girls. Parents know that maturity and time are the keys to getting through this period in your little boy's life. Know that, like many childhood milestones, all-night dryness will happen and you’ll all sleep better and through the night soon. The National Association for Continence (NAFC) notes that bedwetting can occur from a delay in learning two things: the signal from the brain to the bladder to relax it and hold more urine, and the signal from the bladder to the brain that it is full, alerting the body to wake up. For kids, learning to use the bathroom before they go to bed may be able to reduce their nighttime wetting. Encourage your son to develop this habit, just as you would encourage him to brush his teeth and wash his hands. 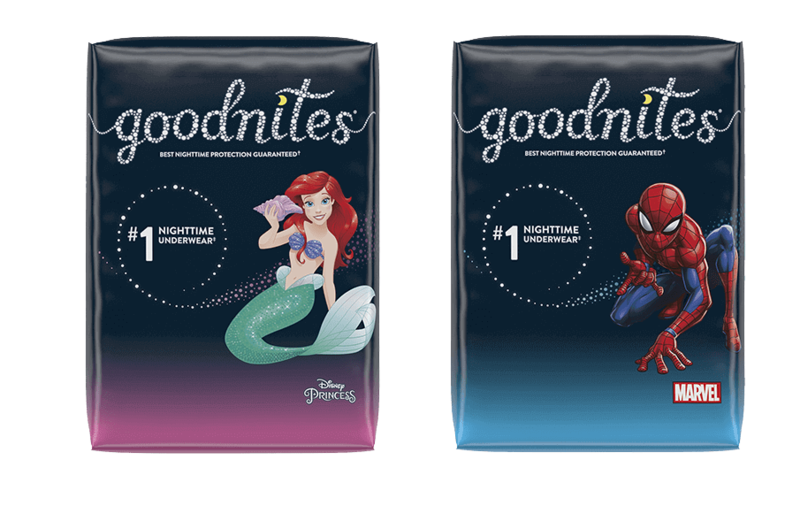 Even if he forgets, products like GoodNites® NightTime Underwear provide targeted coverage for bedwetting so he can still sleep soundly. Wetting the bed can be a source of embarrassment, anxiety, and stress. As a parent, you feel you should make sure your son doesn’t feel bad about his bedwetting. It's a developmental phase of childhood that he shouldn't be worried about as he's enjoying growing up. When accidents happen, parents can quickly change the bed, try to not make a big deal of it, and advise their other children not to make fun of their sibling. But what about friends or peers who may not be aware of the night wetting? Kids can be notorious teasers, and your son may feel ashamed if he's mocked by his peers for wetting the bed. Some boys may avoid sleepovers or overnight trips because of it, even though they are a rite of childhood that he would likely love being a part of. There’s no need for him to skip the fun if you make some advance preparations. Laura Richards, the Massachusetts mother of a longtime bedwetter, had a great idea for helping her son when she couldn't be there to assist. Laura says her son struggled when sleepovers started for his peer group. “He would panic about them and often decline invitations or skip the sleepover part,” she says. That all changed when, with her son’s permission, she enlisted his best friend’s parents to help. But if your son doesn't want other people to know about his nighttime wetting, there are other ways you can show your support. You may have him put an extra pair of GoodNites® at the bottom of his sleeping bag or somewhere in the bathroom for a quick change, just in case. Try to spend less time worrying about nighttime wetting, and shift focus to the joy of watching your boy grow up instead. GoodNites®, the #1 nighttime underwear, are there to keep him dry as he continues to develop. • HealthyChildren.org, powered by the American Association of Pediatrics (AAP), states that in two population studies, boys were about 6 months behind girls when it came to potty training. This may influence boys' likelihood to wet the bed. • Know that, for most children, bedwetting gradually stops as their bodies mature. Almost all kids have outgrown bedwetting by the time they're teens. • Try to show your support and love rather than frustration when it comes to your son's nighttime wetting. Remember: he's not bedwetting on purpose! • Be patient; this too shall pass.